Hey, DISH fans! Your Hopper 3 setup just got better with the addition of 4K Netflix programming throughout your Hopper 3 system. Previously, 4K Netflix was only available on the Hopper itself, but DISH is rolling out the ability to use Netflix on the 4K Joeys as well. This move further strengthens DISH’s 4K portfolio and potentially saves customers hundreds of dollars on streaming hardware since the 4K Joey can now be used for Netflix in 4K. Unlike DIRECTV’s system, DISH’s Hopper system supports a total of seven 4K boxes per Hopper 3, and two Hopper 3s may be used in the home with the use of the DPH42 Multiswitch. This is in contrast with DIRECTV’s Genie 2, which supports two out of a maximum of 7 possible TVs total. On the other hand, DISH is just now rolling out a single part-time 4K channel while DIRECTV has had three full-time 4K channels for about a year, including original programming. Clearly both companies have a way to go with 4K content, but neither can be blamed since really, no one is making or distributing 4K content. That’s pretty surprising for 2017 but it speaks to the overall move to smaller screens and mobile viewing. For press release fans (would I let you down?) here’s a juicy one from BusinessWire. 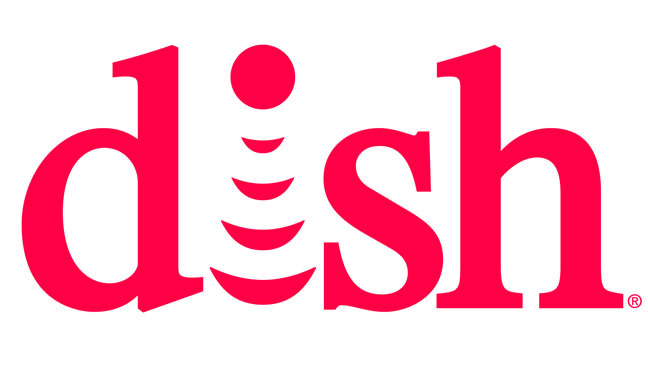 ENGLEWOOD, Colo.–(BUSINESS WIRE)–DISH is now the first major U.S. pay-TV provider to offer a whole-home 4K Netflix experience. After offering Netflix Ultra HD titles on its Hopper 3 DVR since April 2016, the company added the app to its 4K Joey client. Now DISH customers have the ability to stream the robust catalog of Ultra HD TV shows and movies on Netflix in multiple rooms throughout the home. When connected to a Hopper 3, DISH’s 4K Joey provides similar TV functionality to other rooms in the home. Hopper 3 supports up to six 4K Joeys simultaneously, powering a total of seven 4K TVs at one time. To access Netflix’s 4K programming, DISH customers should select the “Home” or “App” button on the remote control, then select the Netflix icon. The app can also be accessed on channel 370 in the DISH programming guide. Once in the Netflix app, Ultra HD titles are identifiable by searching the terms “4K” or “UHD.” With Netflix integrated into DISH’s universal search results, its 4K titles will also be populated in episode lists using the DISH remote’s traditional search functionality. DISH customers must subscribe to Netflix’s $11.99 per month subscription plan and have a 4K-compatible television to access this Ultra HD content on Hopper 3 and 4K Joey. Netflix recommends an Internet connection speed of at least 25 megabits per second to stream Ultra HD titles. DISH Network Corp. (NASDAQ: DISH), through its subsidiaries, provides approximately 13.332 million pay-TV subscribers, as of June 30, 2017, with the highest-quality programming and technology with the most choices at the best value. DISH offers a high definition line-up with more than 200 national HD channels, the most international channels and award-winning HD and DVR technology. DISH Network Corporation is a Fortune 200 company. Visit http://www.dish.com. SOUND OFF: Are DIRECTV 4K Genie Mini audio drops any better for you? COMMERCIAL CUSTOMERS: Are you still having problems with power saving on DIRECTV boxes?